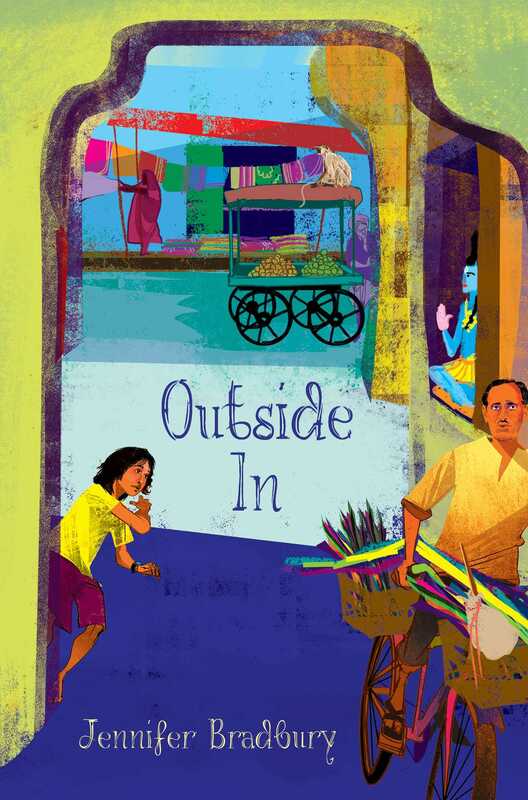 A twelve-year-old boy living on the streets of Chandigarh, India, stumbles across a secret garden full of sculptures and sees the possibility of another way of life as he bonds with the man who is creating the garden in this searingly beautiful novel—based on a true story. But his prowess at gilli (an outdoor game similar to cricket) is what gets him into big trouble. One day, when he wins against some schoolboys fair and square, the boys are infuriated. As they chase Ram across town, he flings his small sack of money over a factory gate where no one can get it, and disappears into the alleyways. But someone does get the money, Ram discovers when he sneaks back later on to rescue what is his—a strange-ish man on a bike who also seems to be collecting…rocks? Ram follows the man into the jungle, where he finds something unlike anything he’s seen—statues, hundreds of statues…no, thousands of them! Gods and goddesses and buildings, all at half scale. What is this place? It seems that the rock collecting man, Nek, has built them all! When Nek discovers that Ram has followed him, he has no choice but to let the boy stay and earn back the money Nek has already spent. How else can he keep him quiet? For his creations lie on land that isn’t technically his to build on.